Artists throughout the post–World War II period have been fascinated by the ways in which space can be activated. One key model has been the notion of topology (“logic of place”), which centers on the concept of geometric transformation, in which space and shape can be expanded, contracted, distorted, and twisted while the structure of the object remains constant throughout. Taking this definition as a launching point, topology appeared in postwar art in the late 1960s. A turn away from the fixed structures of Euclidean geometry and empiricism, topological properties as applied in art include connection via a breakdown of boundaries, the use of open structures, and a cross-pollination of disciplines that questions systems of knowledge. Movement and change, rather than a static object itself, constitutes the artwork. Topologies demonstrates how this mathematical field and its implications came into use by visual artists who were expanding systems-based practices in a variety of media around the world. Two conceptions of topology by artists whose works are on view at The Rachofsky House provide key axes to this exhibition. In Japan, the idea was interpreted through a physics of form foundational to the Mono-ha group’s breakthrough Land art piece Phase—Mother Earth (1968) by artist Nobuo Sekine, which operates on a continuous renewal of perception through a cycle of creation and recreation. In the United States, artist Dan Graham introduced topology in his seminal essay “Subject Matter” (1969), describing perceptual effects in process-based practices in which “the spectator’s visual field . . . shifts in a topology of expansion, contraction, or skew.” Together, these ideas from different parts of the world establish the radical significance of the idea that form may remain continuous despite changes that occur over time. Gathering more than 100 works created between 1952 and 2016 by 61 artists, Topologies offers both snapshots of particular moments in time and historical lineages that unfold over years. 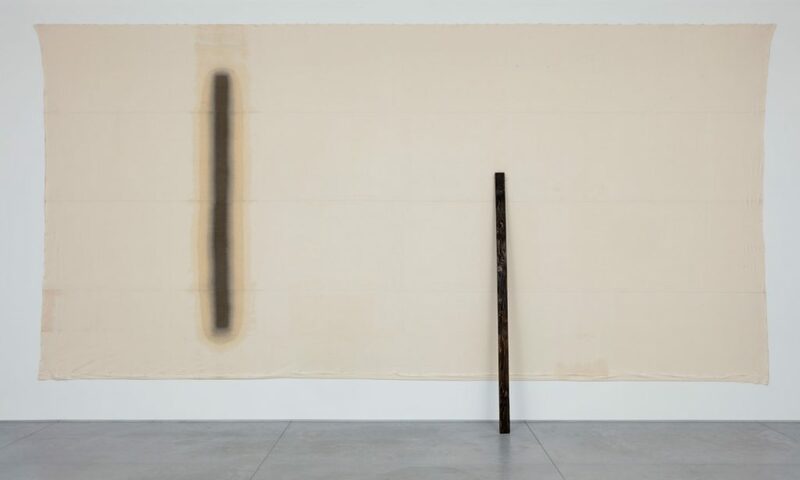 It draws from The Rachofsky Collection’s strong formal and conceptual holdings on international practices that emphasize process and materiality. The show expands on themes including permutation and distortion in space, inversions and other shifts in the body’s phenomenological relationship to space, material transition based on gravity and entropy, the politics of displacement, and reconceiving abject encounters between the synthetic and organic. Topologies draws works from The Rachofsky Collection, the Dallas Museum of Art, Deedie Rose, and Jennifer and John Eagle. Felix Gonzalez-Torres once said, “How do you reinvent—how do you deactivate—a space? How do you use space in ways that are subtly subversive, or subtly altering?” This provocation paved the way for his participatory and relational practice that interrogated the conditions of existence by activating the politics and poetics of space. This activation is a key notion of topology (“logic of place”) in the arts, a theory of spatial transformation in which space can be expanded, contracted, distorted and twisted, yet the structure itself remains invariable. Taking this formal definition as a launching point, the term denotes a field of semantic and sensory relations where one’s movement, rather than the static object itself, constitutes the “work.” A turn from the fixed structures of Euclidean geometry and empiricism, topology instead incorporates a breakdown of boundaries, open structures, or a crossing of disciplines that question systems of knowledge. Historically, these transformations range from surrealist encounters between found objects and the scientific world, gravity and entropy, to post-minimalist strategies of duration and process where artists conveyed the body and materials in-formation or in de-formation in order to explore multidirectional experiences of space. 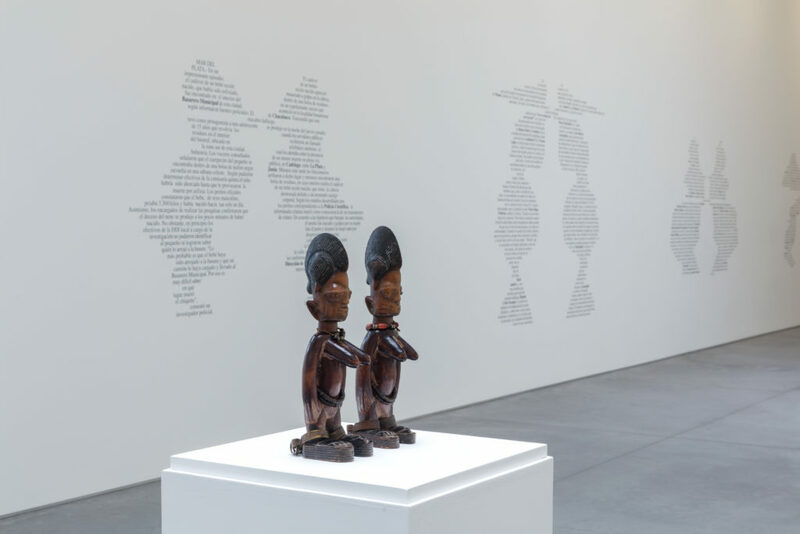 Gathering roughly 100 works between 1952 and 2014 by seventy artists, Topologies cuts across time both diachronically and synchronically and draws from The Rachofsky Collection’s strong formal and conceptual emphases on works that integrate process and materiality. Each gallery presents topological themes that range from permutations and distortions in spatial dimension; inverses and shifts in the body’s phenomenological relationship to space; material transition based on gravity and entropy; politics of displacement; and reconceiving abject encounters between the synthetic and organic (speculative realism). These will be considered in terms of comparative, morphological, and synthetic methods of inquiry in the catalogue. In the short story William Wilson, Edgar Allan Poe presents a sinister plot: the tale of a character who, from his childhood, experiences the apparition of a figure who in everything resembles and haunts him with similitude and repetition – until he turns out to be himself. It is the doppelgänger, or double, a recurring figure in literature (from Dostoyevsky to Borges and Wilde) and in all the arts. The very act of representing – oneself or the other – can be understood as a gesture of creation of parallel realities, thus doubles to those in which we live. The exhibition DOUBLES, DOBROS, PLIEGUES, PARES, TWINS, MITADES takes this literary figure as a starting point to create an inventory of situations in which otherness and duplication/repetition are manifested in works from The Rachofsky Collection, The Rose Collection, The Collection of Marguerite Steed Hoffman, and the Dallas Museum of Art, among others, assuming diverse configurations: from forms of representation that occur through replicas, shadowing, and mirroring to logical-formal exercises that are expressed by the use of halves and doubles. The narrative departs from works in which the theme of the double appears explicitly – the most striking example being Felix Gonzalez-Torres’ “Untitled” (Perfect Lovers), an iconic piece from the collection with its identical but different clocks – to arrive at the idiom of abstraction, where virtual space and its relationship between exterior and interior constitute a bridge to the rapports between the self and the other. 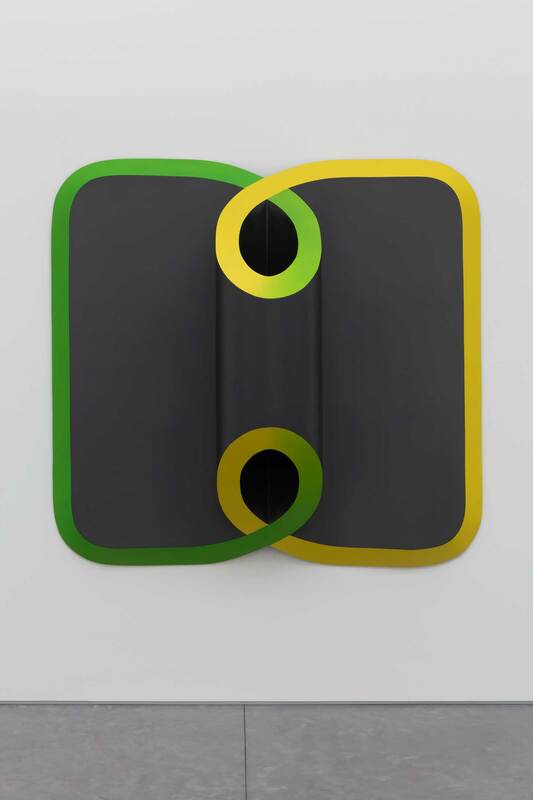 DOUBLES, DOBROS, PLIEGUES, PARES, TWINS, MITADES includes work by John Ahearn, Eija-Liisa Ahtila, Kai Althoff, Laurie Anderson, Giovanni Anselmo, Janine Antoni, Jo Baer, Robert Barry, Georg Baselitz, Alighiero Boetti, Marcel Broodthaers, Vija Celmins, Chung Chang-Sup, Alice Channer, Lygia Clark, Bruce Conner, Alexandre da Cunha, Jessica Dickinson, Rineke Dijkstra, Marlene Dumas, Luciano Fabro, Saul Fletcher, Lucio Fontana, Gilbert & George, Robert Gober, Fernanda Gomes, Felix Gonzalez-Torres, Mona Hatoum, Lee Kangso, Ellsworth Kelly, Mary Kelly, Lee Kun-Yong, Luisa Lambri, Glenn Ligon , Seung-Taek Lee, Jorge Macchi, Mangelos, Babette Mangolte, Piero Manzoni, Robert Mapplethorpe, Kris Martin, Allan McCollum, Gabriel Orozco, Damián Ortega, Giulio Paolini, Giuseppe Penone, Michelangelo Pistoletto, R.H. Quaytman, Charles Ray, Ad Reinhardt, Mauro Restiffe, Medardo Rosso, Salvatore Scarpitta, John Schabel, Richard Serra, Jiro Takamatsu, Richard Tuttle, Luc Tuymans, Lee Ufan, William Wegman, Rachel Whiteread, Steve Wolfe, and Lynette Yiadom-Boakye, as well as objects from Dallas Museum of Art’s Ancient Art of the Americas and Arts of Africa collections. DOUBLES, DOBROS, PLIEGUES, PARES, TWINS, MITADES is the first in a series of guest-curated exhibitions at The Warehouse.